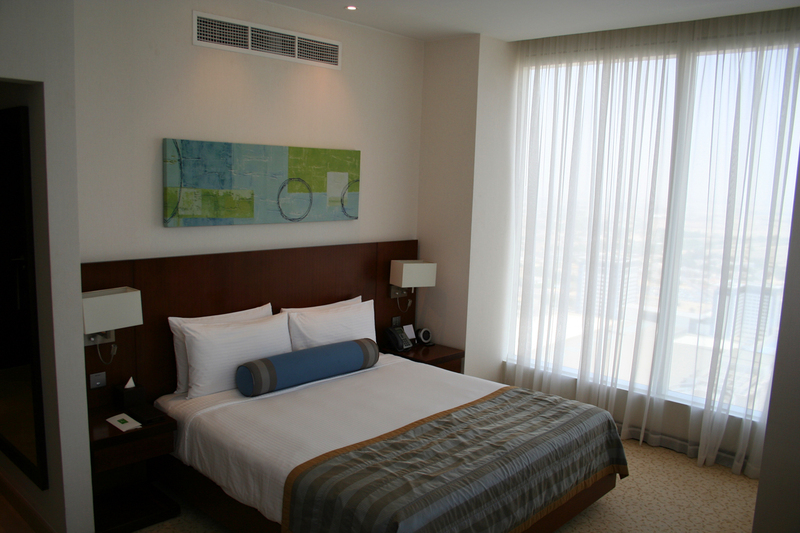 My home in Dubai for three nights was the Nassima Royal Hotel located in the city’s World Trade Centre area. 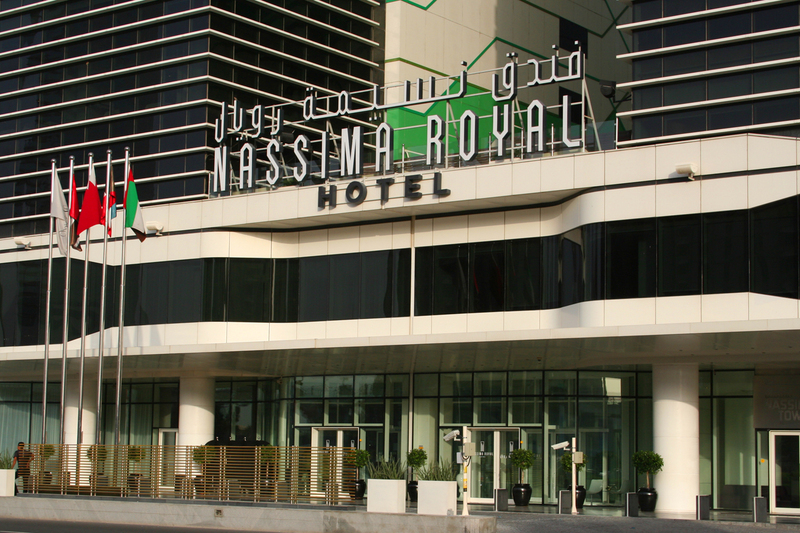 In a city of many fine, upmarket hotels, the Nassima Royal ticked all the boxes, and then some. A short walk from the World Trade Centre metro station, this high-rise property was formerly the Radisson Royal Hotel Dubai. 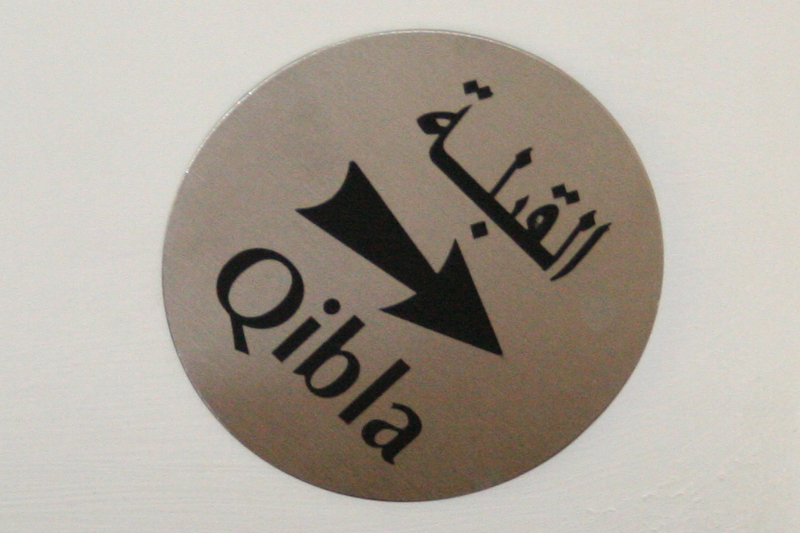 It is now a member of the Preferred Hotel Group, of which I am a big fan. 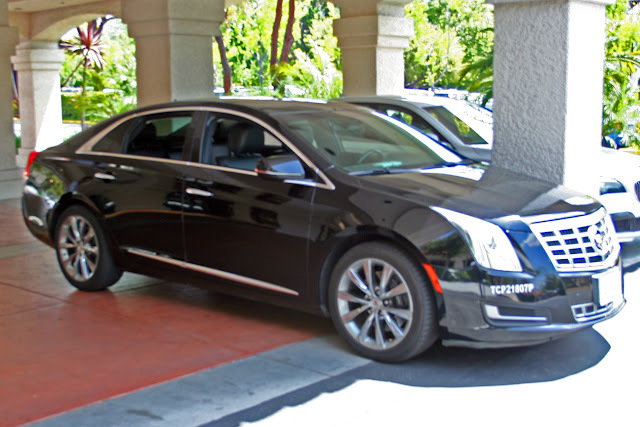 My wife and I have enjoyed our stays at other hotels affiliated with the upmarket group including The Heathman hotel in Kirkland, Wash, the (in)famous Watergate Hotel in Washington, D.C., and count among our favorites the Hotel Grand Pacific in Victoria, British Columbia. Given those experiences, I was pleased to be able to book a room at the Nassima Royal Hotel for my stay in Dubai. In addition to being convenient to the downtown core and the many attractions it has to offer, the Nassima Royal embodies the best of contemporary, upscale accommodations coupled with old-fashioned, attentive customer service. When I arrived after 9 p.m. on a recent Saturday night, a bell clerk quickly took my bags and made sure they were looked after until I could get checked in, which he apparently judged would be no small feat. The desk clerks were all occupied by guests from a private event being held in the hotel who seemed to have interminable questions. One of the desk managers saw me waiting and ushered me to a private check-in area on the 42nd floor so that I would not have to wait. Following a 16-hour flight from Los Angeles, I was ready to hit the sack, so her awareness and attentiveness was very much appreciated. The bellman arrived at my room just a few minutes after I did and gave me a quick tutorial before slipping away. At the Nassima Royal the room lights, curtains and the television all have individual controls but there is also a master control for convenience. He showed me how to operate the controls, pointed out the complimentary snack that was waiting for me, the in-room minibar, told me about a couple of the dining venues on the property, then slipped away to allow me to settle in, unpack and enjoy the snack of dates and other local delicacies that awaited on the table. My corner room, a Deluxe King, had a bedroom/living area of over 150 square feet, a ceiling more than nine feet tall which contributed to an open feel, and floor-to-ceiling windows that offered stunning views of Sheikh Zayed Road and Dubai’s unique skyline both day and night. Rooms also have safes, flat-screen TVs, a table, work area, sofa, coffee and tea service with complimentary bottled water – always a nice touch but especially appreciated in a hot climate like Dubai -- irons and ironing boards, and increasingly rare mini-bars. The baths have separate tubs and showers, hairdryers, the ever-more important lighted magnifying mirrors, bidets and high-end amenities. To accommodate its Muslim guests, the ceiling of my room also had a medallion indicating Qibla, the direction to Mecca and the holy Ka'ba, which is important at prayer time to those of the Islamic faith. The property also provides complimentary Wi-Fi, which is vital in today’s environment. Unlike many hotels where internet connection speeds are anemic, connection speeds at the Nassima Royal were quite respectable. Upload speeds were in the range of 13 Mbps, as measured by SpeakEasy.net/speedtest. The Nassima Royal has six dining venues from fine dining to casual. 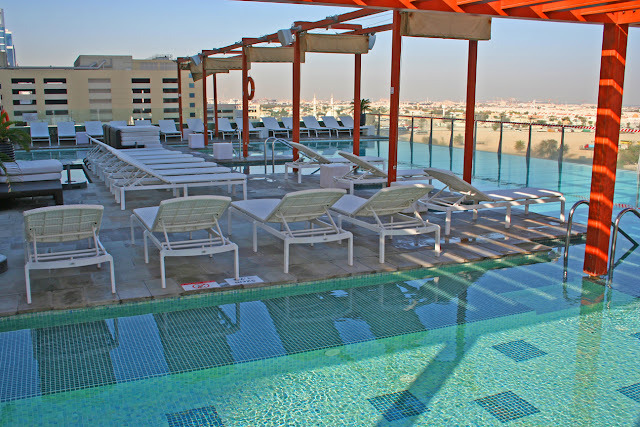 They range from the Pool Bar on the 7th floor to the combination restaurant, bar and lounge TRE, which occupies the 49th, 50th and 51st floors and offers views of the Dubai skyline, Sheik Zayed Road and the Persian Gulf. 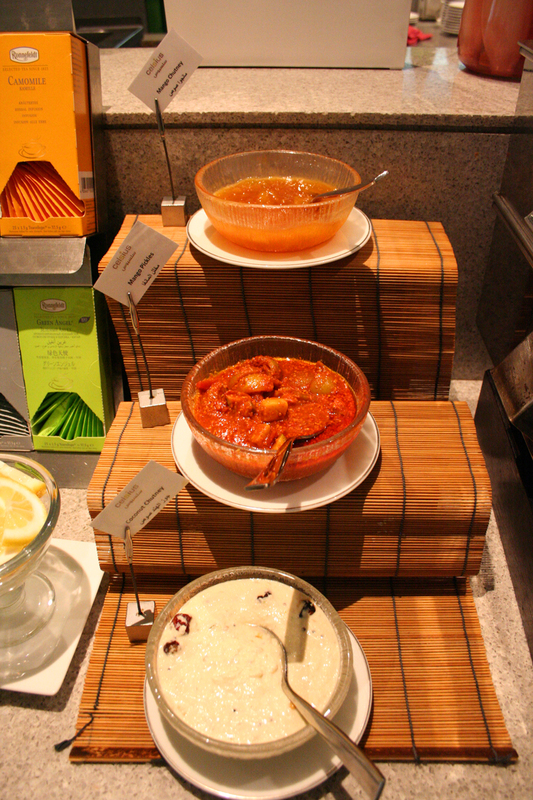 Breakfast is served in Celsius, on the mezzanine floor, with several different stations that align with the property’s multi-cultural guests. While the egg and omelet station might be just the thing for many, I prefer to indulge in the local culinary culture and went for four Middle Eastern mezze including hummus, baba ghanoush, labneh and tabbouleh. I also chose selections from the Indian area including the flatbread paratha; a chana masala of onions, tomatoes, chickpeas and spices; the lentil-based vegetable stew sambar; and idli, which are steamed rice cakes. Accompaniments of mango chutney, coconut chutney and mango pickles made my meal complete. The Middle Eastern buffet also had nuts, dates and yoghurt while the Japanese section had several types of fish and sushi. A fourth area had basic porridges and hot and cold cereal. Unless one is exceptionally picky, there was literally something for everyone. Other restaurants include the Lobby Lounge which offered hot and cold non-alcoholic beverages and snacks at breakfast and lunch and two that opened for dinner: a modern Indian restaurant called Tresind, and an authentic Lebanese restaurant called Sultan Basha. The property also offers an on-site fitness center, business center, swimming pool, salons for men and women and Spa Zen. As I have noted previously, the appeal of a beautiful property can be marred by substandard service while excellent service can make up for a multitude of shortcomings. During my stay, there were no shortcomings to compensate. Early my first morning, a quick stop at the concierge desk got me a map of the city as well as a schedule of the complimentary shuttles that take guests from the hotel to nearby attractions including Dubai Mall; Mall of the Emirates; Murjuman Mall; Mirdif City Center; Emaar Square which is adjacent to the Burj Khalifa, the tallest building the in world; and to Kite Beach on the Persian Gulf. Some shuttles are run by the malls while others are operated by the hotel, but the schedule meant having the information at hand and therefore the ability to better plan my time than trying to reach each location by taxi or public transit with the associated hassle and expense. Other staff members were as attentive as the helpful bellman and desk clerk my first night. Every staff member I passed in the halls, on the elevator or elsewhere bid me a “Good morning,” “Good evening,” or other greeting and many asked if there was any assistance they could provide. The day after I checked in, my bellman from the first night saw me and asked, specifically, “How are you enjoying room 3503?” Very high marks for service on all fronts at the Nassima Royal. I did note a couple of minor eccentricities. First, my room did not have an actual desk workstation but pulling the chair up to the table served quite nicely, especially given the robust Wi-Fi speed. Second, the bathroom lacked a 240-volt outlet so I had to use the hairdryer in the bedroom instead of standing in front of the mirror as I am used to doing. However, it may be that building codes simply do not allow 240-volt outlets to be situated close to water, so it might be a safety issue. 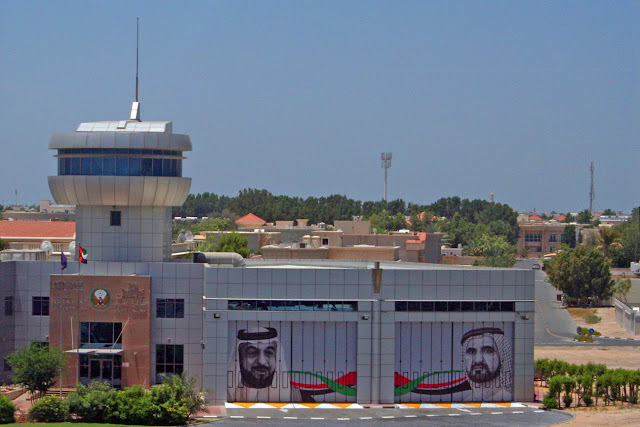 As I said at the beginning, there are a great many upmarket hotels in Dubai, but because this was my first visit to Dubai, I have not had the opportunity to stay at any of the others to compare and contrast. However, given the beautiful rooms and restaurants, convenient location and excellent service at the Nassima Royal, I don’t know how much better things could get. The Nassima Royal provided me with accommodations so that I could experience the property and service first-hand.